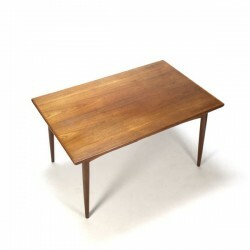 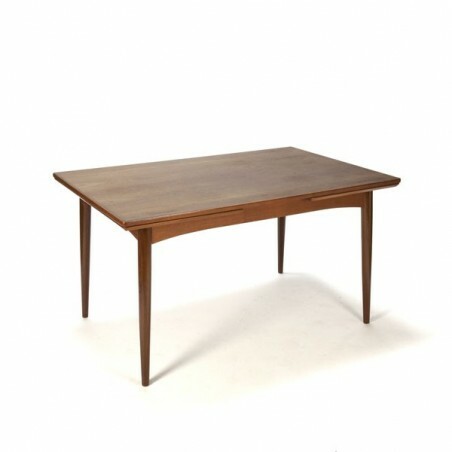 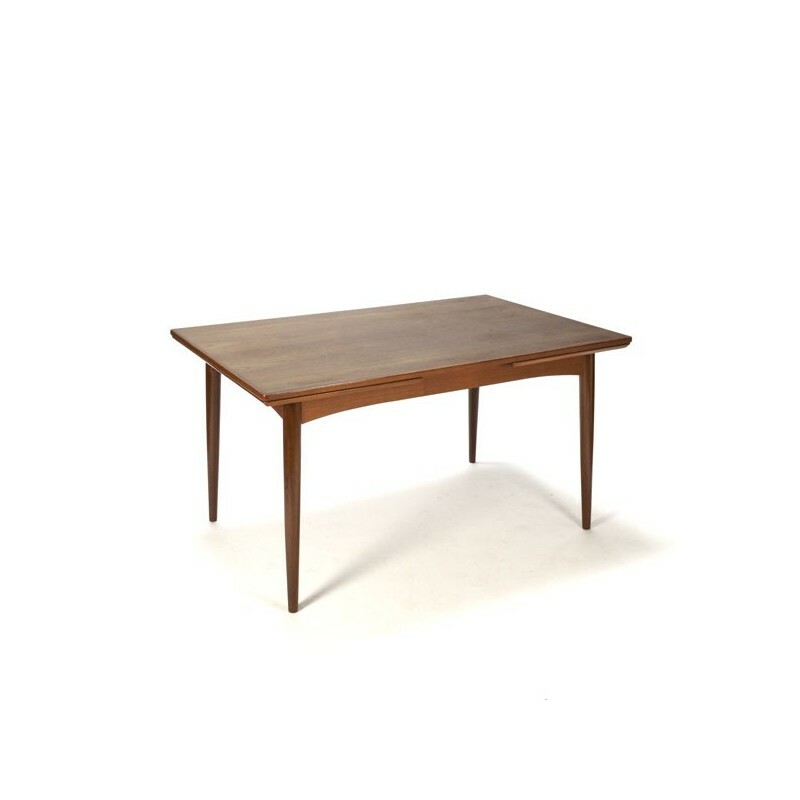 Vintage dining table from Denmark in teak with beautiful sloping edges. 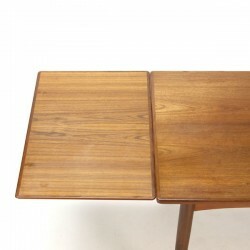 The table can be extended, so a very large table can be created. 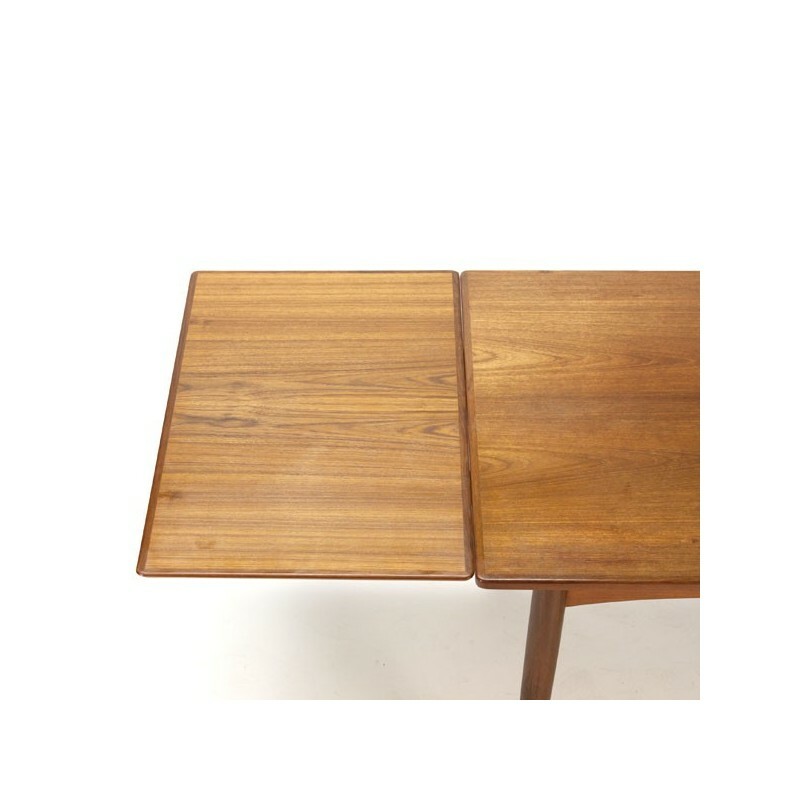 The condition is good, very slight traces of use. 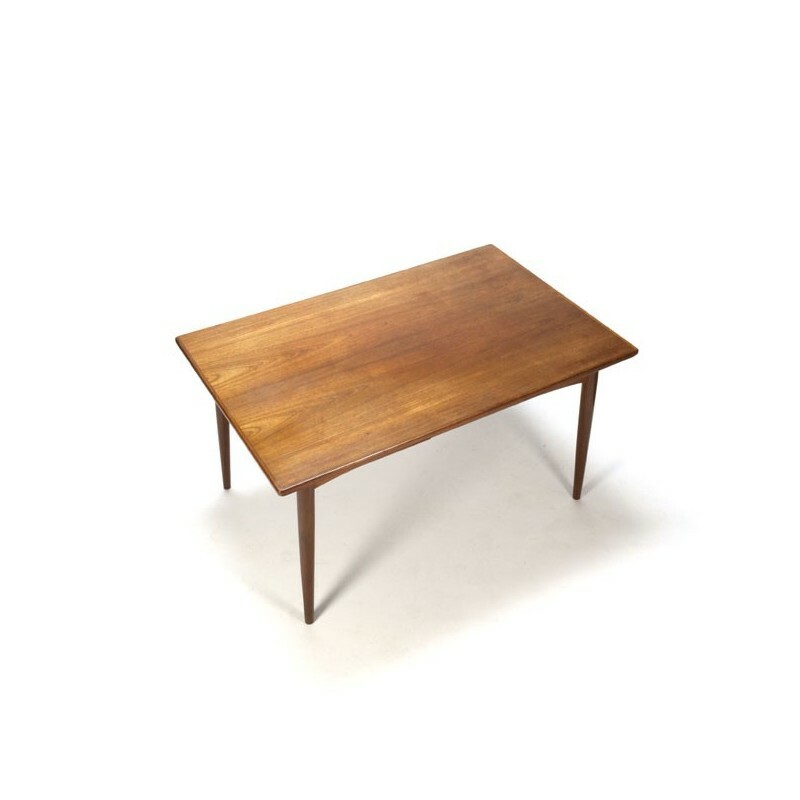 The dimension is 135-236 cm L / 85 cm W/ 73 cm H.